Description: Up to 120cm long. 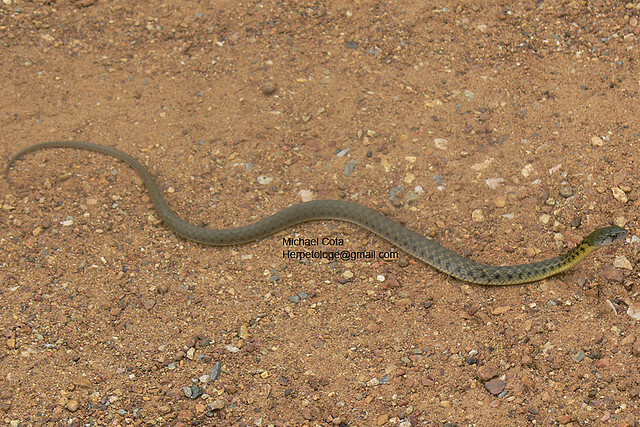 Body is roughly cylindrical and of average girth. Eyes are large. Has an olive-brown background coloration with various black streaks and blotches and a row of small yellow or white dots down each side. Two black streaks come down and back from the eye. Juveniles have a characteristic yellow mark on their neck that fades with age. 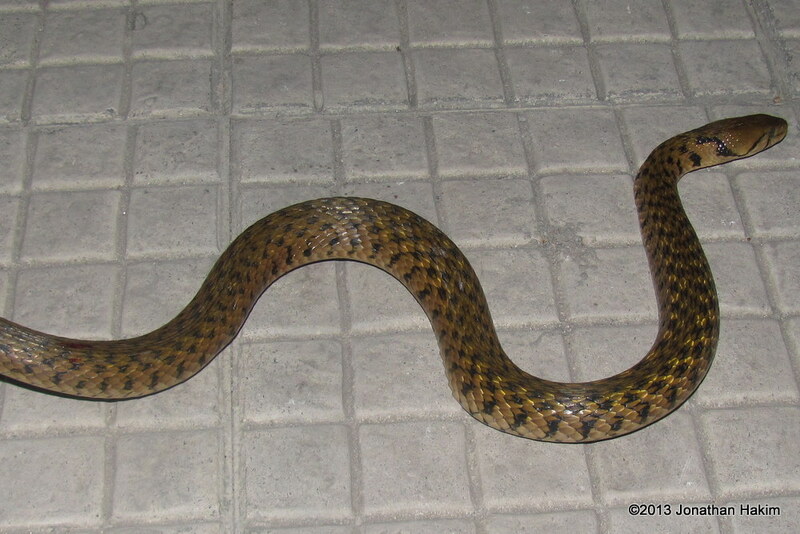 Similar Species: Checkered Keelback has a black checker pattern on an olive-brown background. It is a close relative and was once considered to be the same species. 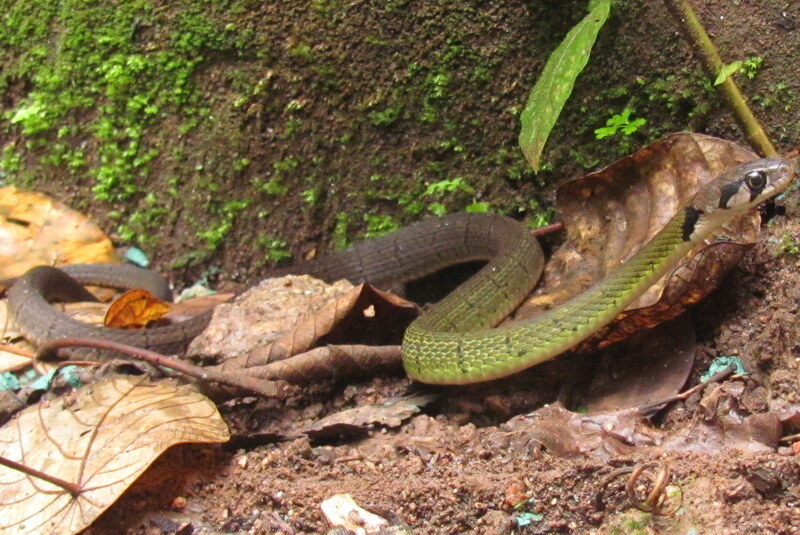 Red-necked Keelback is more colorful and has a characteristic red neck. 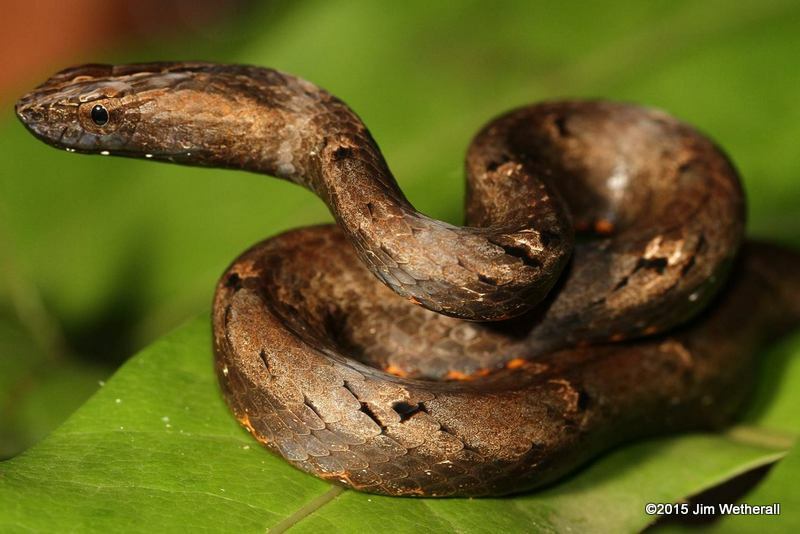 Juvenile Red-necked Keelbacks, which may not have developed the red neck yet, have a large black marking on the back of their neck that juvenile Yellow-spotted Keelbacks do not have. 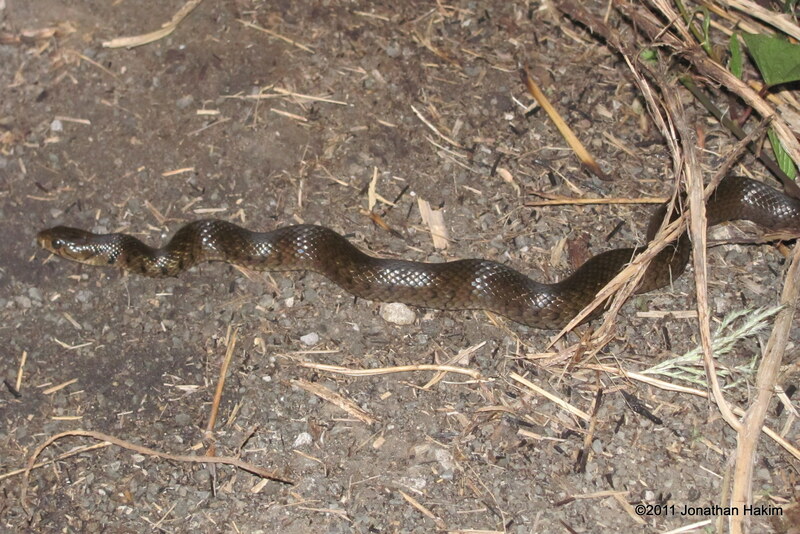 Asian Water Snakes (subfamily Homalopsinae) generally have broader heads, smaller eyes, and much thicker bodies. 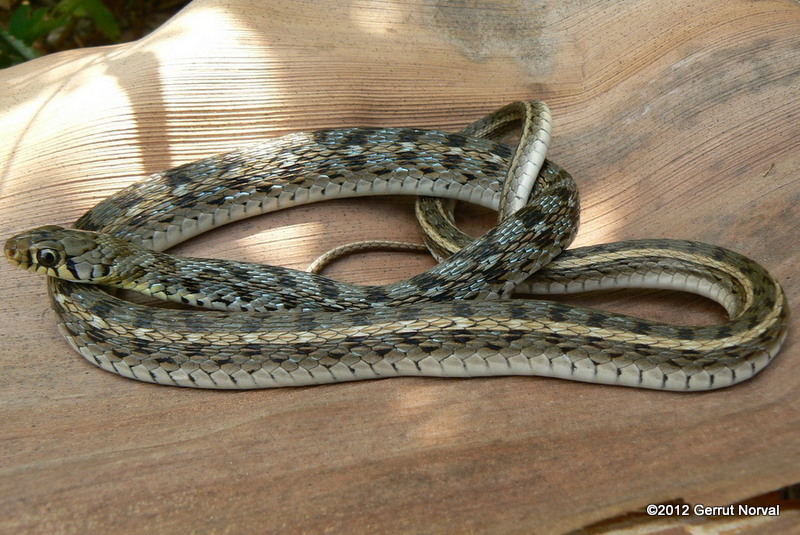 Oriental Rat Snake lacks black markings on the front half of its body. Habitat: In or near marshes, ponds, or rice patties, sometimes in the middle of urban areas. 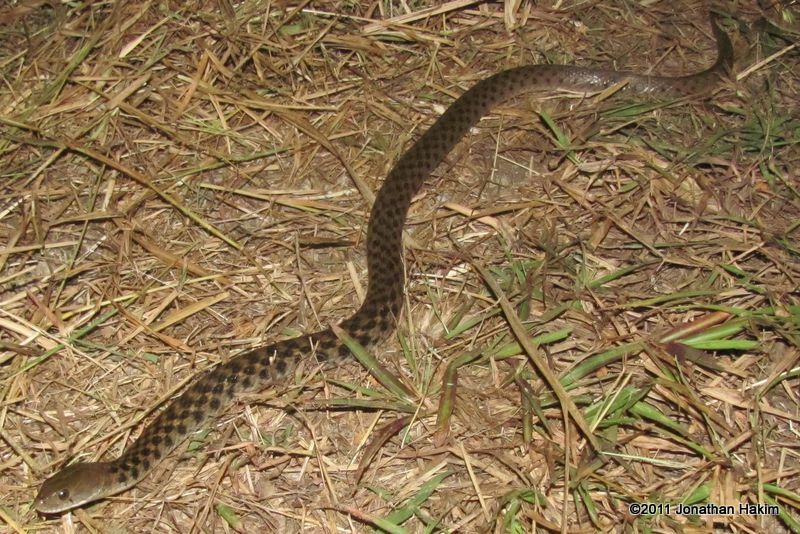 The Yellow-spotted Keelback is a a strong swimmer. 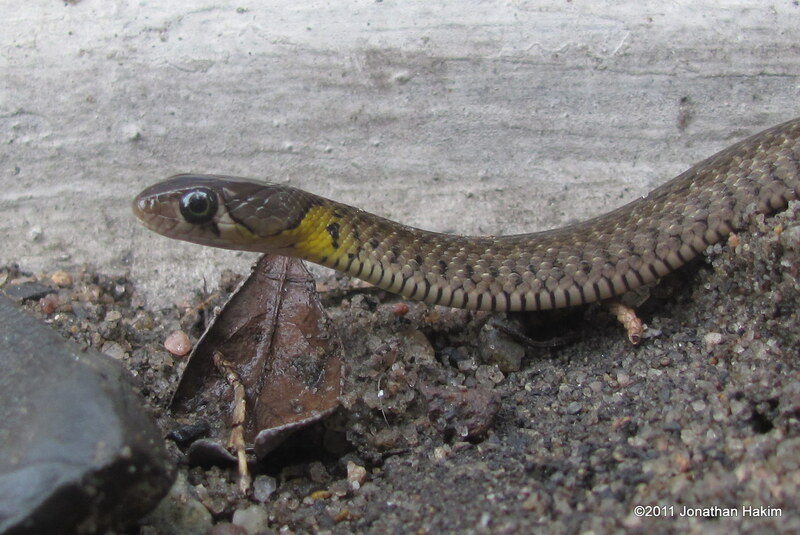 Contribution to the ecosystem: The Yellow-spotted Keelback eats fish, frogs, and rodents, helping to control mouse and rat populations in the city. 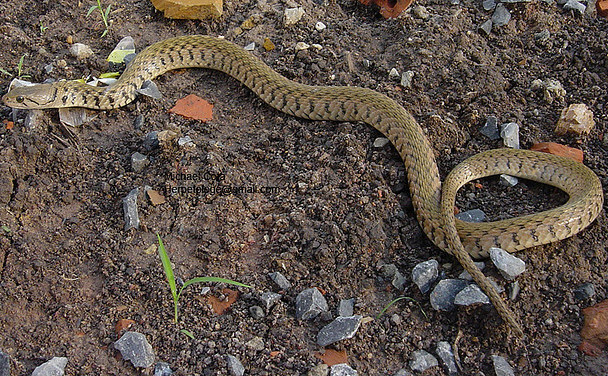 The juveniles are eaten by larger snakes and birds. 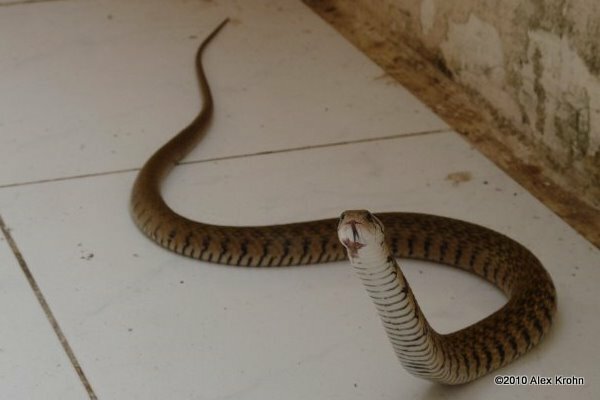 Danger to humans: Will bite aggressively when provoked and can draw blood, but is not dangerous to humans. 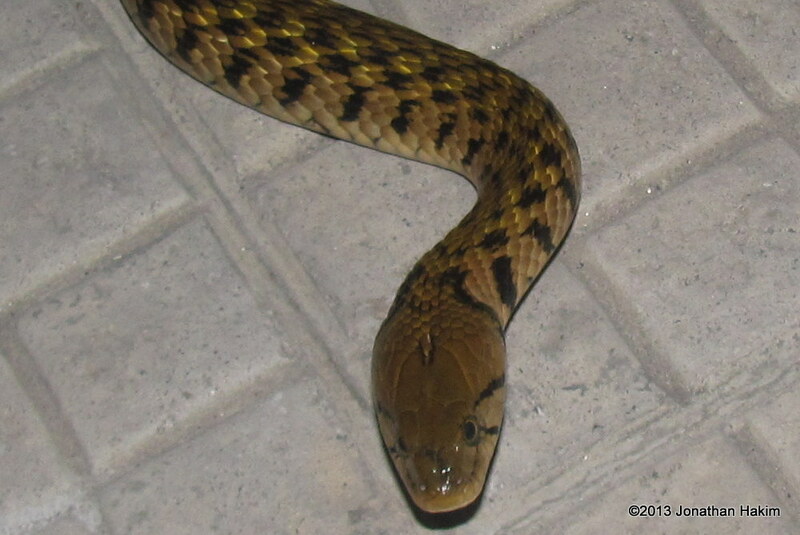 Though it has no venom glands, some people report itching and slight swelling after a bite. 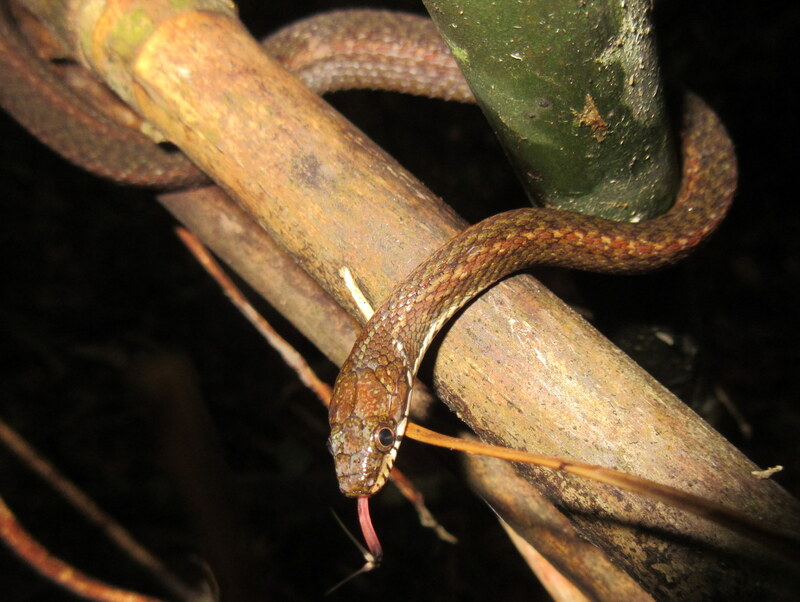 Interesting facts: The Yellow-spotted Keelback will often swallow its prey immediately upon catching it, without constricting or using any other means to kill the prey. 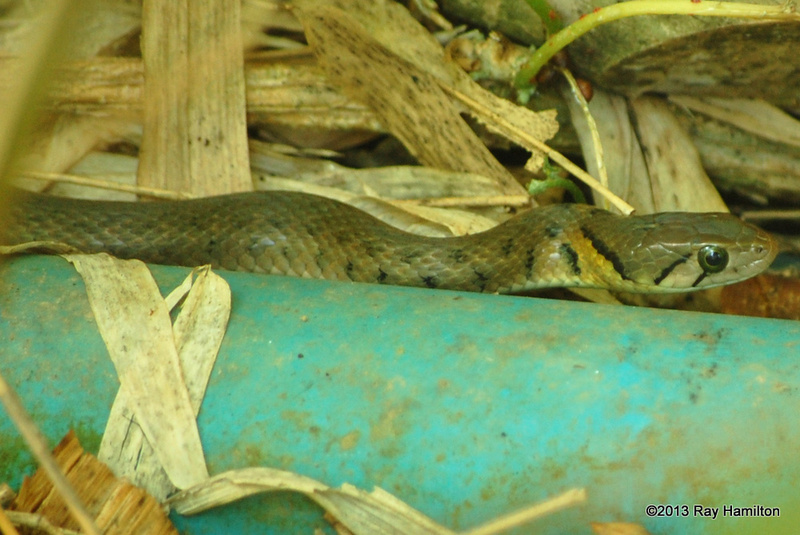 As a result, prey is sometimes swallowed live, and some sources report frogs still vocalizing from within the snake.